Robe de Cour à la Française, with its petticoat trimmed in varied garlands. 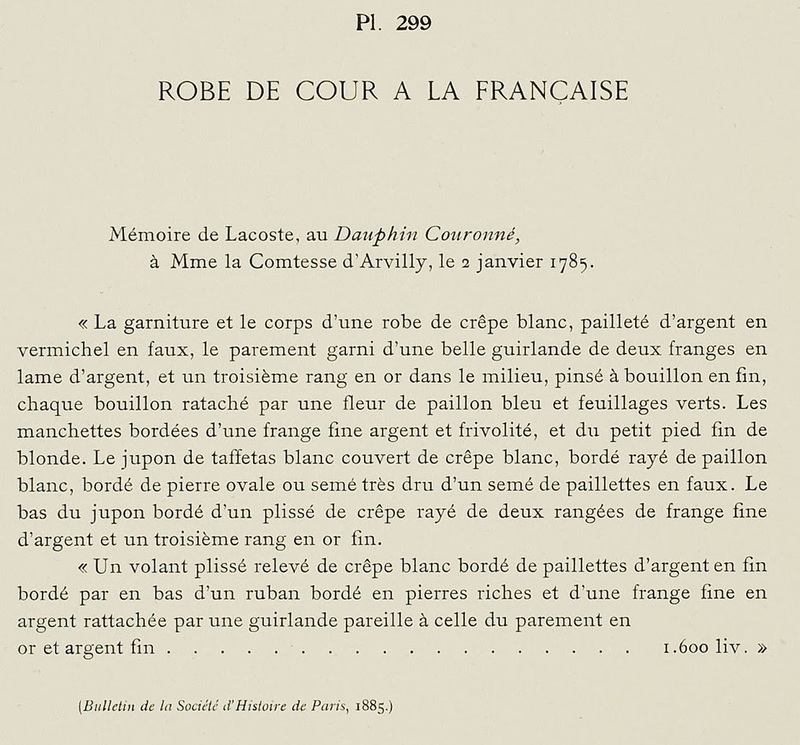 Memoir of Lacoste, at the Crowned Dauphin, to Mme the Countess d'Arvilly, January 2, 1785. 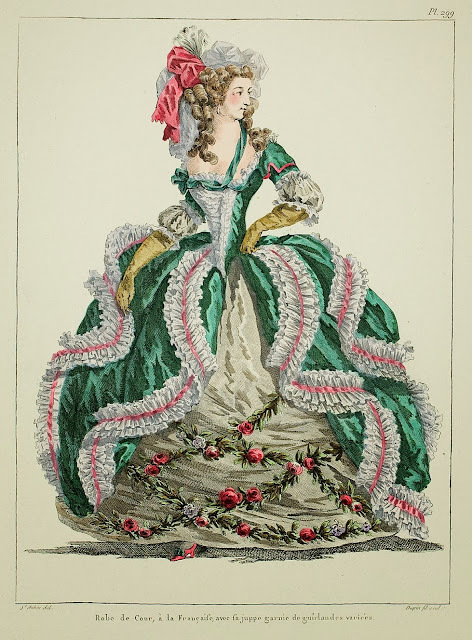 "The trimming and the bodice of a gown of white crêpe, spangled with silver in faux vermicelli patterns, the parement trimmed with a beautiful garland of two fringes in silver lamé, and a third row of gold in the middle, pinched bouillon-style at the ends, each bouillon held with a flower of blue spangles and green leaves. The manchettes edged with a fine silver fringe and frivolité, and a fine petit pied of blonde. The petticoat of white taffeta covered with white crêpe, striped at the edges with white sequins, edged with oval stones or scattered very thickly in a pattern of faux sequins. The bottom of the petticoat edged with a pleated ruffle of crêpe striped in two rows of fine silver fringe and a third row of fine gold. 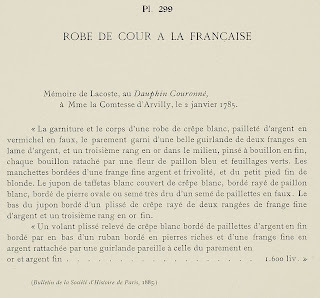 "A pleated, pulled-up volant of white crêpe edged with silver sequins at the end, edged at the bottom by a ribbon edged in rich stones and a fine silver fringe held with a garland matching that of the parement in gold and fine silver. ... 1,600 livres."